The Development of Dictyostelium discoideum consists of 11 chapters representing the 11 major aspects at which continuous progress are made in the study of Dictyostelium discoideum. 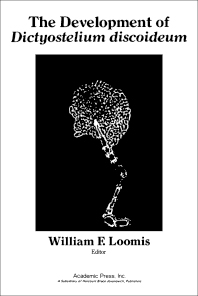 This book begins with the discovery, classification, ecology, and development of Dictyostelium discoideum. It then outlines the advances in genetic manipulation and mutant isolation of the organism. Much of the advances in cell biology have been related to a better understanding of the composition and function of the cell membrane. Hence, analyses of Dictyostelium plasma membranes are collated. This reference material also describes the role of chemoattractants in organizing cell movements and the intracellular events triggered by occupancy of chemoreceptors. It also explains the understanding of the macromolecular components of the chemosensory system of Dictyostelium discoideum. It further discusses the cell motility, cell adhesion, morphogenetic signaling, cytodifferentiation, and gene expression in the species. Finally, the phenomenon of cell-type specification and regulation in this organism is addressed. This book will be valuable for those already familiar with the general outlines of Dictyostelium biology.